49% of our teaching staff has earned master’s degrees or beyond. A typical master’s degree program requires 36 hours of classes. The additional training that our staff members have completed helps to provide our students with even more opportunities for success. Those masters degrees are in the areas of Special Education, Curriculum & Instruction, Educational Administration, and Master Teacher to name a few. Additionally, 43% of our teaching staff has completed extra hours or certification tests to receive an ESOL endorsement. This additional training and certification provides our staff with research-based strategies to help our English Language Learners (ELL) students achieve greater success. We are proud of the dedication of our staff members and their willingness to spend time, energy, and resources gaining additional training to better support the needs of our student population. 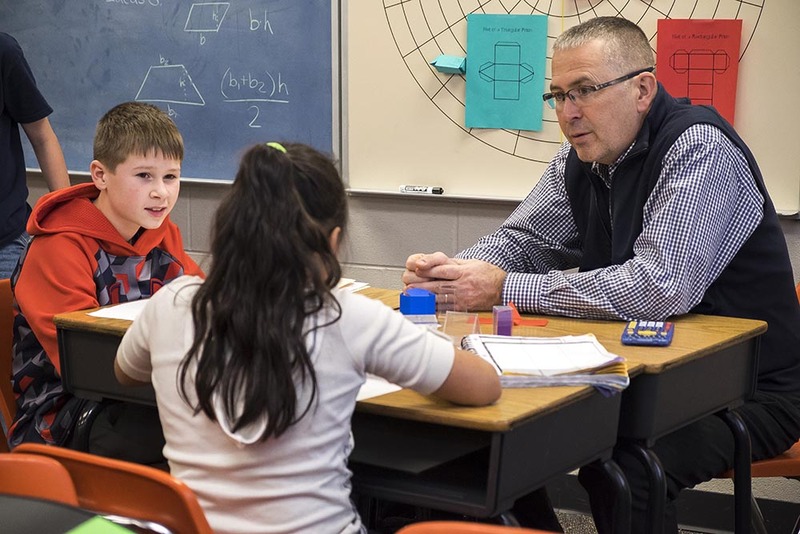 Approximately 25% of our teaching staff has spent more than 20 years teaching for Emporia Public Schools — a lifetime commitment of serving the students and Emporia community. We are extremely pleased to have this core of veteran staff members providing positive leadership for our district. Finally, our certified teaching staff has accumulated 481 degrees from Emporia State University which means that 88% of our staff has one or more degrees from ESU. This highlights the great partnership that exists with Emporia State University and Emporia Schools. During our recent District Needs Assessment Community Meetings, I had the opportunity to listen to the dialogue between HTK Architects and parents and community members at a majority of the site meetings. There were two trends that were mentioned that spoke volumes about our schools, but more importantly, our staff. Secondly, those at nearly every site talked about the sense of family and community that existed within the buildings. That sense of family was created because of the ability of our staff to form lasting relationships with each other and, more importantly, with the students and parents. Building strong relationships takes time, commitment, and effort to grow and develop trust and create a sense of family. It is apparent that our staff is committed to making relationships with students and parents a high priority. Every day we have a team of dedicated, caring teachers and support staff that provides our students with opportunities to achieve success. Many times those efforts may go unnoticed as simply a part of a teacher’s daily routine of greeting, teaching, and providing opportunities for our students. Ultimately, we are blessed to have an incredible staff at USD 253. While American Education Week is a great opportunity to support and celebrate our staff, it would be powerful if we could recognize and celebrate our staff members each and every day for shaping the minds of future generations. I encourage you to thank your child’s teacher or former teacher during American Education Week and also to acknowledge them with appreciation throughout the school year. Thank you to the staff of Emporia Schools, and we look forward to many #EmporiaProud moments not only during this special week, but throughout the school year.